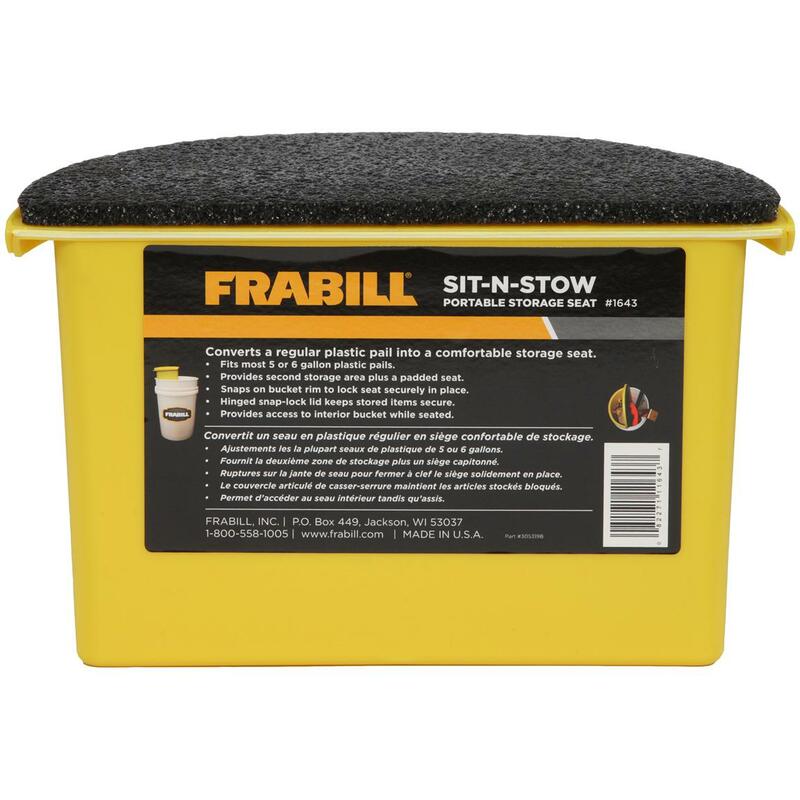 Frabill® Sit - N - Stow pads your posterior for a comfy fishing experience! Set this Sit-N-Stow seat atop your 5 or 6-gallon fishing pail for a tremendous day-long experience along the shore. Instead of carrying an extra chair along with all your other gear, you'll have this easy-tote addition that opens to reveal a dry, safe storage compartment underneath the seat top. Just snap the Sit-N-Stow to the outer ridge of your fishing pail, then go along your merry way. What's more, the unique shape allows constant access to your pail underneath... you won't have to un-clip, or even stand up to put fish inside.